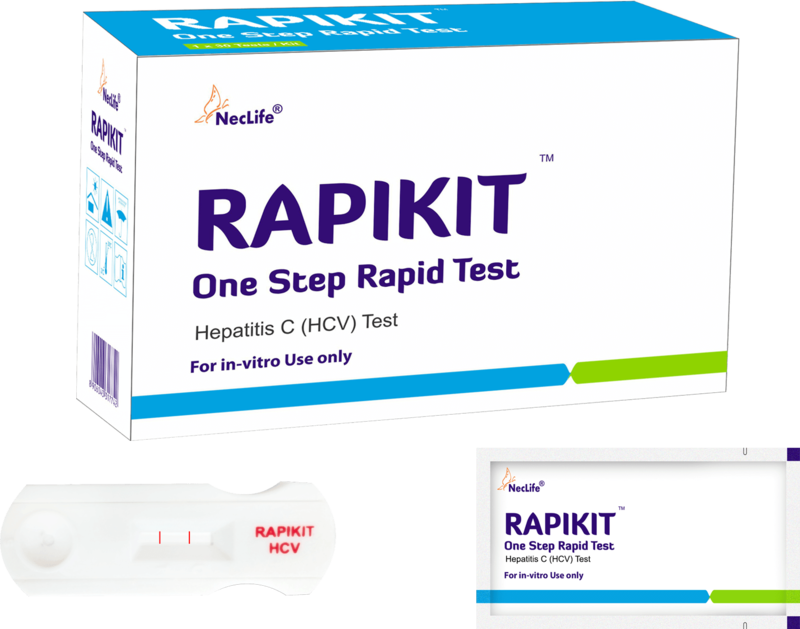 The test is used to detect chorionic Gonadotropin (hCG) in human urine. 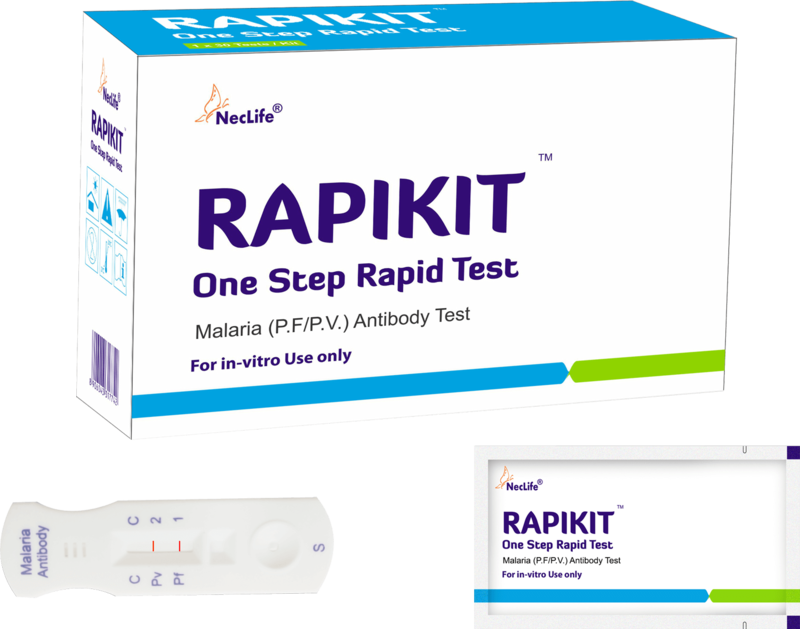 This test is used to obtain a visual qualitative result for pregnancy. 1. In case of coloured line within 3 minutes, wait for another minute. Sometimes it may take a positive result another minute or less depending on the concentration of hCG (human Chorionic Gonadotropin, a hormone produced by the body produces during pregnancy). Results are invalid after10minutes. 2. 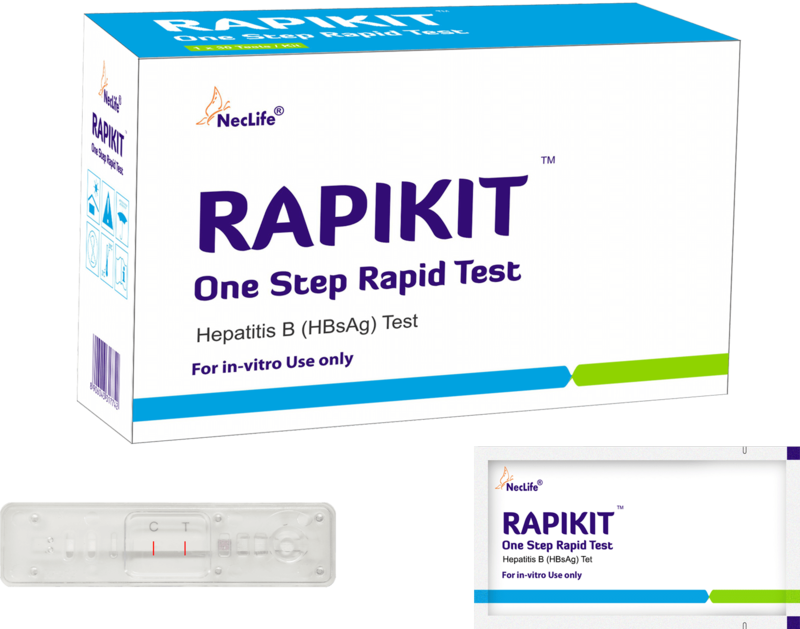 As soon as you miss your period, you can perform the test, even as early as the first day of the missed period. 3. Miscalculation of period days can also result in negative test result. Repeat after a week. 4. For best results, use of early morning urine is best as it is usually the most concentrated with most hCG, though it can be done at any time of the day. 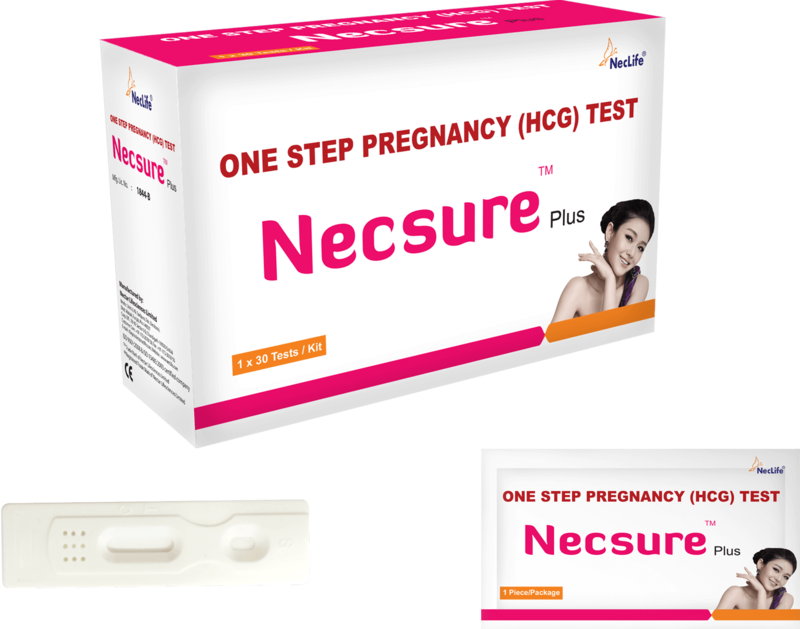 5. hCG with Infertility drug will interfere with test results resulting in false positive. 6. Drinking large amounts of fluids before the test can dilute the hormone levels in the urine giving inaccurate results. 7. 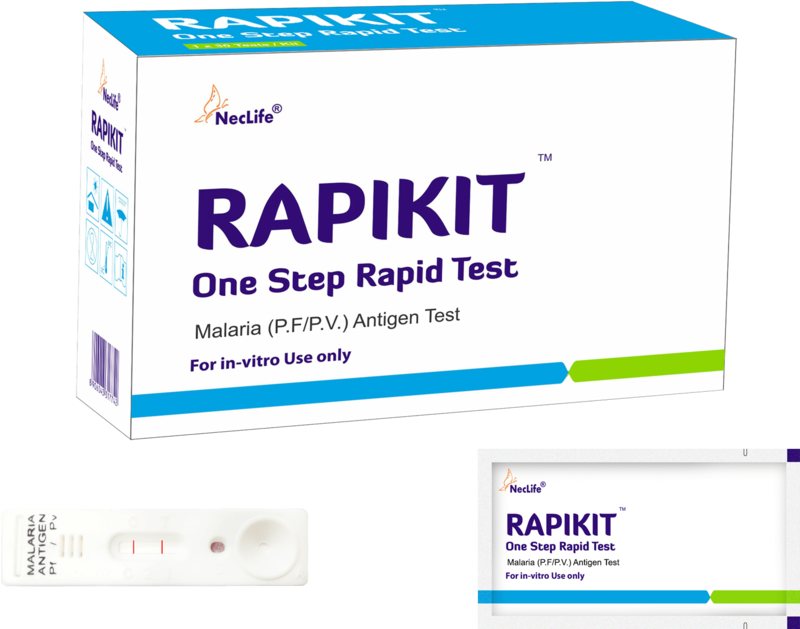 As with any other diagnostic test, confirmed pregnancy diagnosis should only be made by a Registered Medical Practitioner. 8. Before Starting any Endocrinology treatment under the supervision of a Registered Medical Practitioner, confirm the pregnancy by other means. One Window - One Window for control (c) and another for test (T). Remove Cap. Hold the device with the thumb grip while keeping the exposed absorbent tip pointed to the urine stream for minimum 10 seconds until it is soaked through. Dont’t urinate on the test and control window. Remove the device from the urine stream and cover the absorbent tip with the cap instantly. As the test proceeds, the light colored liquid film starts moving across the test and control window. Read the result in 3 minutes. Positive: 2 distinct pink lines in the result window-one at C and one at T (one line may be lighter than other. They need not match.) This means that pregnancy test is positive. Do confirm with a doctor. Negative: Should only one pink line appear in the control window C and there is no line in the test window T, the pregnancy is negative. Invalid: (a). If there is no line with distinct colour in the control window C even if a line appears in the test window T, the test result is invalid. 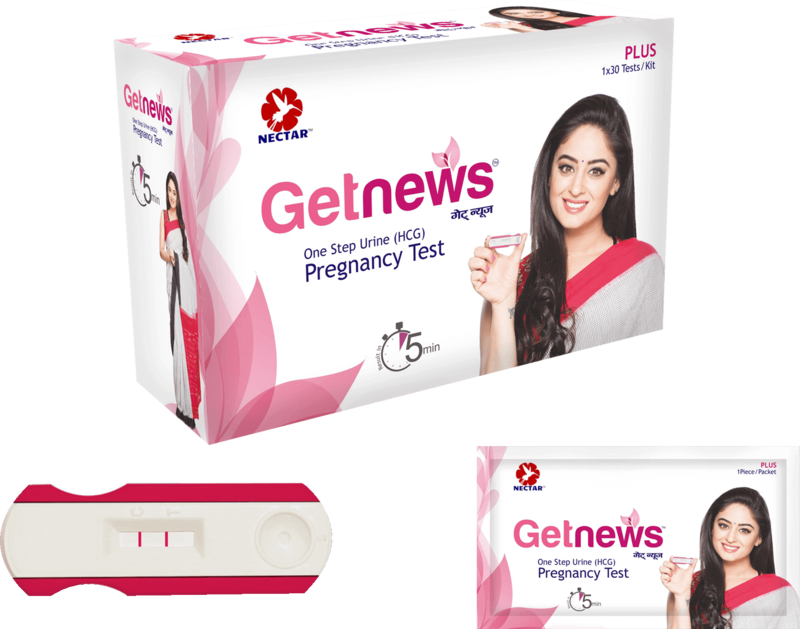 A repeat test is recommended with a new GetNews Advance device. (b). 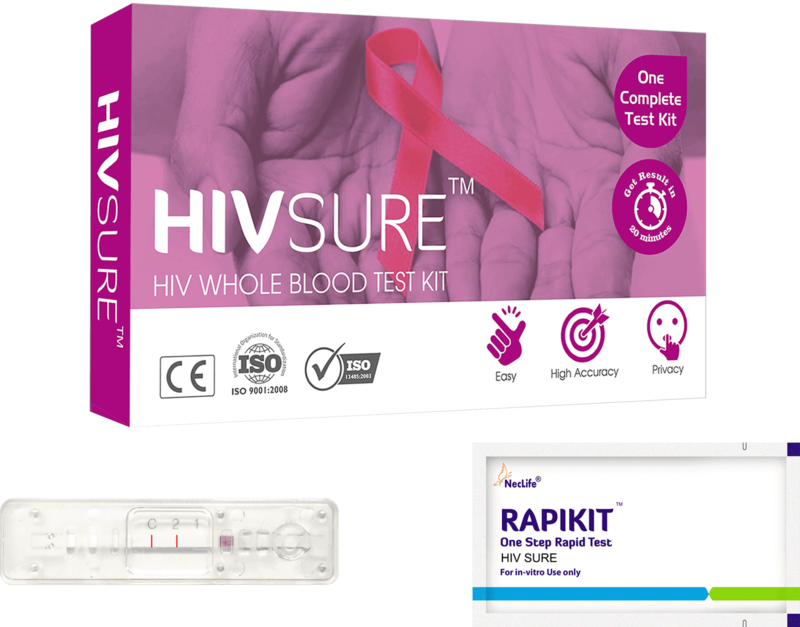 If there is no line in either the control or test window, the result is invalid & it is recommended you to repeat the test with a new GetNews Advance device.